Hezbollah Secretary-General Hassan Nasrallah announced late last month the plan to open the Syrian refugee centers, the locations of which were made public last week. Refugees can submit applications Mondays through Saturdays at centers in Baalbeck, Hermel, Labweh, Bednayel, Furn al-Shubbak, Nabatieh, Tyre, Bint Jbeil and Marjayoun. In order to return, Syrian refugees must submit documents for review by the Syrian regime. “It’s just a show that has no justification and it is not constructive,” Mashnouk told reporters at Dar al-Fatwa after meeting with Grand Mufti Sheikh Abdel-Latif Derian. General Security chief Maj. Gen. Abbas Ibrahim , on the other hand welcomed Hezbollah’s announcement that it has started accepting applications from Syrian refugees seeking to return to their war-battered country. 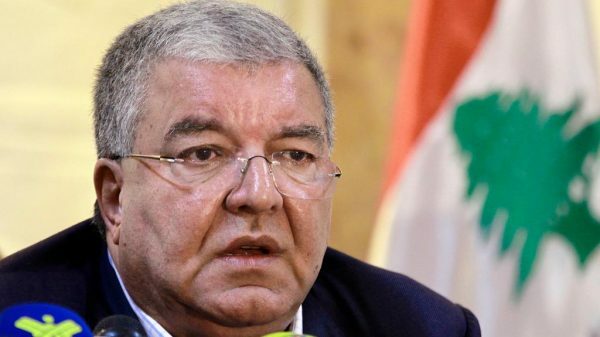 Ibrahim is closely associated with Speaker Nabih Berri , a close ally of the Iranian-backed Hezbollah Shiite militant group which has been helping the Syrian regime in its fight against the mostly Sunni rebels . Most of the refugees in Lebanon are Sunni families and consider Hezbollah the enemy , because the majority fled to Lebanon after Hezbollah sent its fighters to Syria in 2013.